At the core of our dental practice is a friendly team of professionals that are dedicated to your utmost comfort and optimal oral health. We view each patient as a unique individual, and tailor each treatment to your specific needs. As part of our commitment to providing close, personalized attention to every patient, we want to encourage patient communication. Please know that we are here to provide outstanding patient care, and that we value the trust you have placed in us. 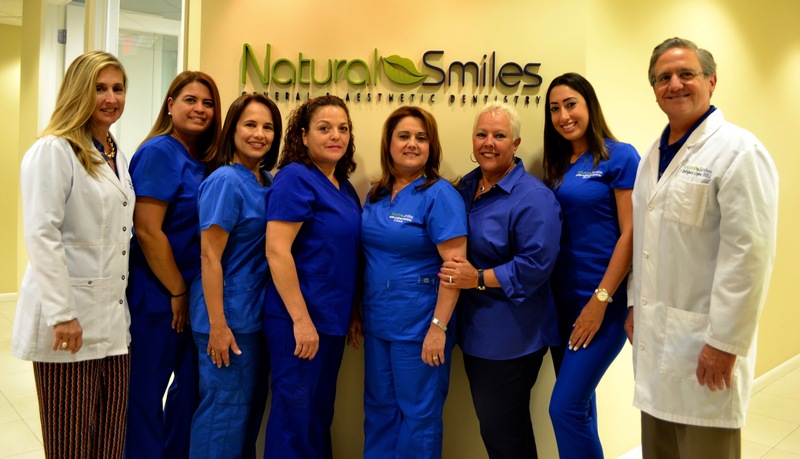 If you or a loved one are interested in receiving comprehensive Coral Gables dentistry services, we encourage you to become more familiar with our dental family before setting up your next appointment. 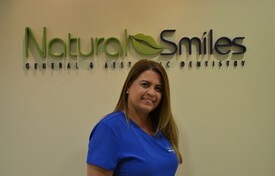 As a seasoned veteran in the dental field, Dania joined our team in the summer of 2001, bringing with her over 20 years of front office experience, as well as a background in dental assisting. Her knowledge of both, business and clinical, enables her to help our patients understand treatment recommendations and financial arrangements. 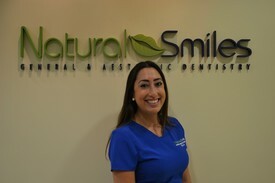 She has a caring and lighthearted attitude and a passion for making your dental experience, one that exceeds all your expectations. Dania has two children, Michael and Michelle, two stepdaughters, Cristina and Tania, and her grandchildren RJ, Angelina and Christian fill her life with joy. She is a fun loving person who enjoys traveling and spending time with friends and family. With lots of experience in the customer service field, this young lady joined our front office team in 2016 and has quickly become an expert in all insurance related matters! She wears many hats in and out of the office and is always fun to find out what she is up to. She and her fiancée Sean share their home with their super smart African Gray Parrot Smokey. They love the outdoors and share a passion for the ocean! 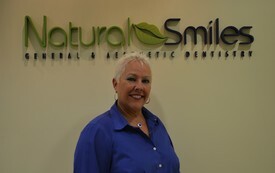 2015 brought this wonderful and dedicated hygienist to our practice. We love her enthusiasm and passion for her profession and the vast experience she brings with her. Elena was born in Barranquilla,Colombia, where she met and married her husband Ivan and they have a beautiful daughter Sofia. Life gets hectic with all of Sofia’s activities but enjoying lots of family time together is always their favorite thing to do! After a 14 year hiatus raising children, this beautiful lady came back to us and her hygiene roots! 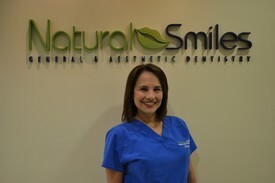 She was our hygienist for several years before having her girls and we are fortunate to now welcome her back! It’s great to see how many of our patients still remember her from before. With her caring and nurturing personality and her passion for her patients’ well-being she completes our hygiene department. Ginny and her husband Bryan have two beautiful daughters, Alyssa and Katelyn, now with whom they love to vacation and travel! In April of 1996 this young mother joined our team and has since become an integral part of our practice. She works alongside Dr. Rodriguez and Dr. Gundian and more often than not, no words are necessary between them. 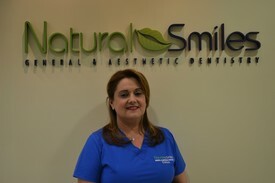 She is a well-organized and talented dental assistant. Edenia is a gentle and compassionate person and her soft spoken personality is a comforting companion while in the dental chair. She can help patients understand treatment and dismiss preconceived fears. Edenia and her husband Orlando have two children, Ali and Erick and their stepbrother Joe who is the father of her granddaughter Emma. They enjoy family gatherings at the beach and spend lots of time watching Erick playing sports!! 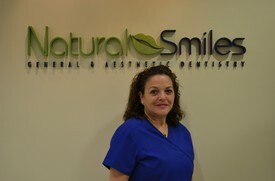 With many years of experience as a dental assistant and in all aspects of a dental office, she joined our practice earlier this year. Her caring and humble personality is a great asset when working alongside patients and also with her peers. She is always eager to help in any way she can and has a great attitude.